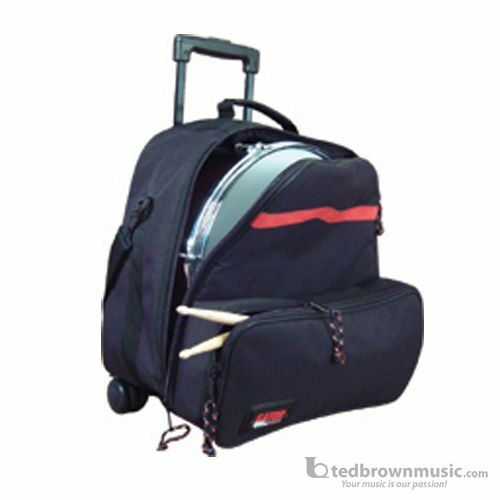 Backpack Style Bag with Wheels for Snare Drum, Stand, Sticks and Practice Pad. 600-Denier nylon exterior, that holds snare, practice pad, stand, and sticks. Removable handle and wheels assembly for back pack use, with external accessory pocket and adjustable shoulder and backpack straps.